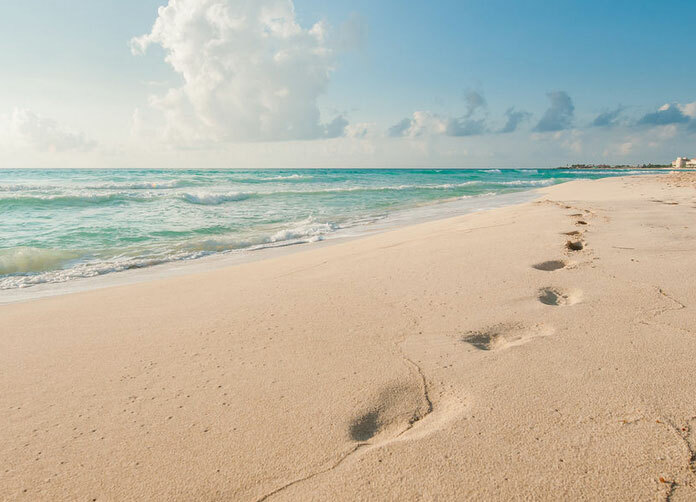 With a modern and ‘Villa’ like architecture the Royal Solaris Cancun, is only fifteen minutes away from the airport and blanketed by the gorgeous Caribbean on hither. 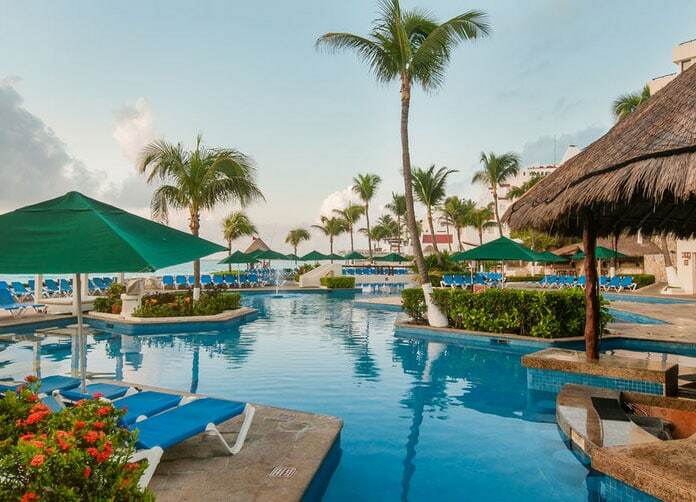 Not only will you find a beautiful resort but with an affordable All Inclusive package that rival some of the best, this resort is a great choice to plan your perfect vacation. 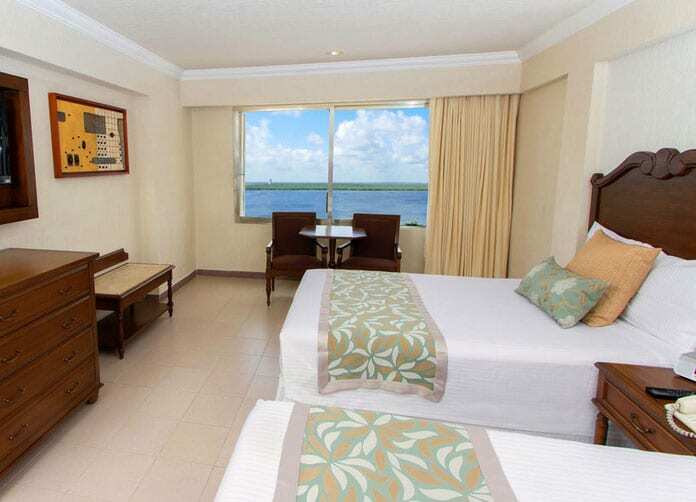 Four spacious room types, all come included with air conditioning, Satellite TV and an exceptional view. 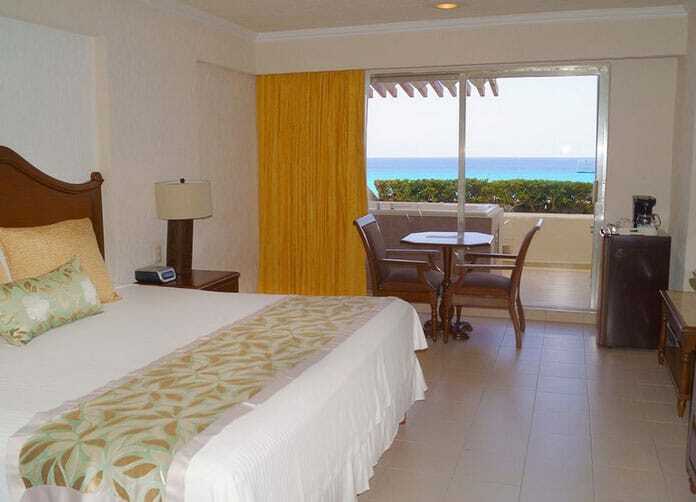 The Deluxe Lagoon view and Deluxe Oceanfront offer a soothing appeal with a bed spread and curtains matching the wonderful Cancun sun. Same can be said with the Deluxe Ocean View w/ Jacuzzi and lastly the Romance Ocean View room, but the latter two have just that extra tinge to make you’re getaway unforgettable for years to come. 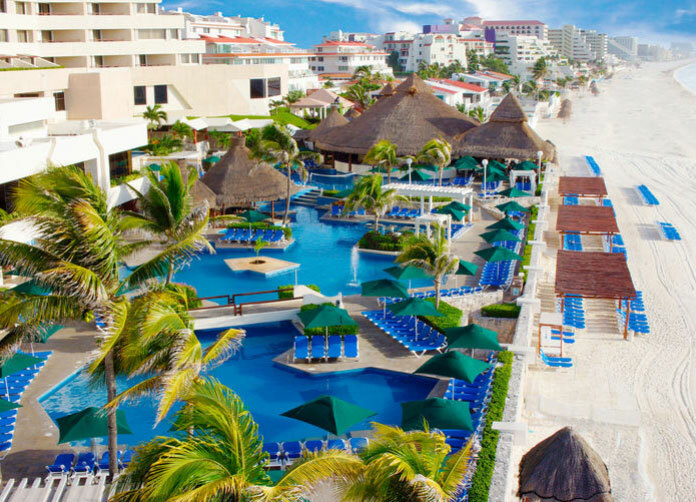 The All Inclusive package is by far one of the most extravagant features about this great resort. You’ll get Unlimited meals, snacks, dining, and beverages of all sorts. Also you’ll enjoy an immense array of activities including beach sports and pool games, tennis and volleyball and unlimited non-motorized water sports such as kayaks, pedal-boats and windsurfing. All while enjoying wonderful daily entertainment and themed nights. 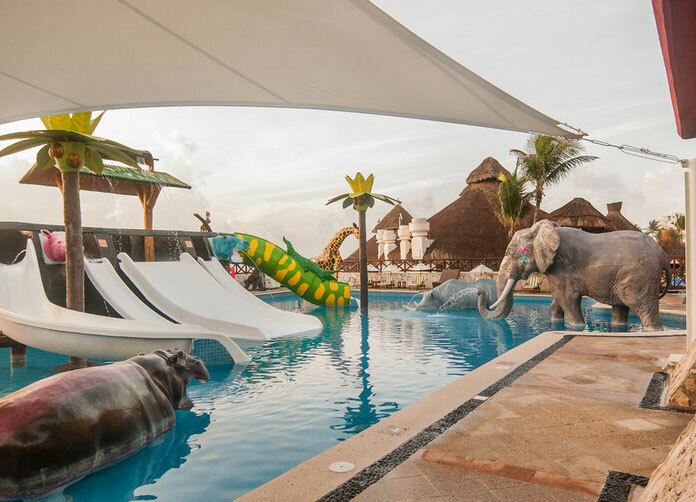 Perhaps you brought the kids along for the trip; with the Royal Solaris Cancun’s Mini Water Park decorated with a Caribbean twist and a fun game of Mini-Golf, the kids will have a blast. No needs to stop there though; allow them to enjoy themselves too at the Kids Club, where they’ll contribute in many arts, crafts, and activities that will keep them going all day long. While their having the time of their lives, take you and yours for a relaxing massage or a refreshing stop at the Spa available. Or perhaps take a dip in the great Pool and Jacuzzi and enjoy your favourite drink or snack without even leaving the pool at the Snack Bar at Royal Tower. As the night progresses check out the Royal Solaris Lobby Bar, a great place to meet new friends and enjoy live music while enjoying some refreshing drinks (also they’re open all night for late-night beverages too). Then check out the Sports bar for those sports fanatics; watch football, soccer, boxing, baseball, hockey, or any other kind of sport on their large televisions. 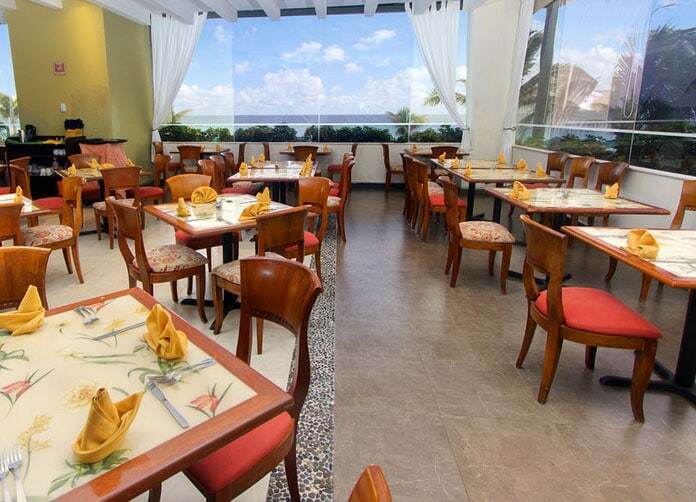 Bogavante: Enjoy the relaxing sensation of the Caribbean Sea while enjoying the best option for lunch with their a la carte international and seafood dishes. 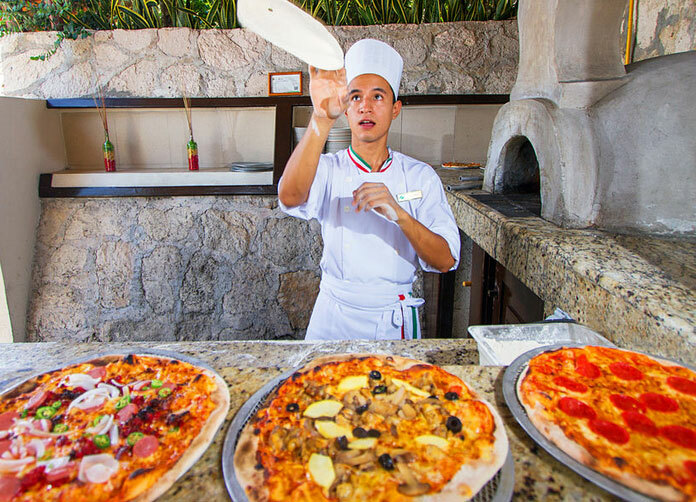 Cafe Solaris: Great breakfast done Cancun style; an extensive array of tropical fruits and juices all while providing favourites like pancakes, omelettes and others. Las Fuentes: A great place to enjoy a good meal no matter for breakfast, lunch, or dinner. You can be sure to enjoy great Mexican dishes, and other plates from all around the world including Asia, Italy and more. Marco Polo: This romantic and superb restaurant is like having a taste of heaven. With a selection of international gourmet specialties, Marco Polo is the best choice with all their meals prepared by their renowned chef. And many more restaurants to pick from too…. Address: Blvd. Kukulcan Lote # 64, Segunda Etapa Seccion A Zona H. Cancun, Quintana Roo. Time to Airport: 15 minutes.